With your kids in tow, get out and explore Costa Rica's capital city before making your way through the lush lowlands towards the Caribbean Coast in this adventure tour. 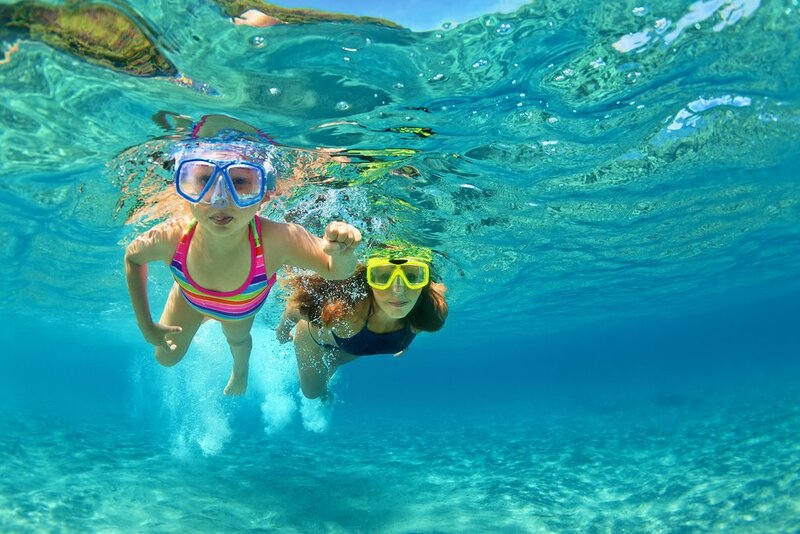 From nature treks, to river rafting, to pristine beaches, this weeklong itinerary is created for families who want to experience Costa Rica's splendid scenery, wildlife, and distinctly laid-back culture. This fun and unique Costa Rica tour is ideal for adventurous families looking to do any of the activities the country is known best for, like hiking, zip-lining, river rafting, and enjoying tropical beaches — yet without the touristy crowds. It spans exactly one week, making it a solid option for families who want something more than a quick introduction, but shorter than an extensive stay. 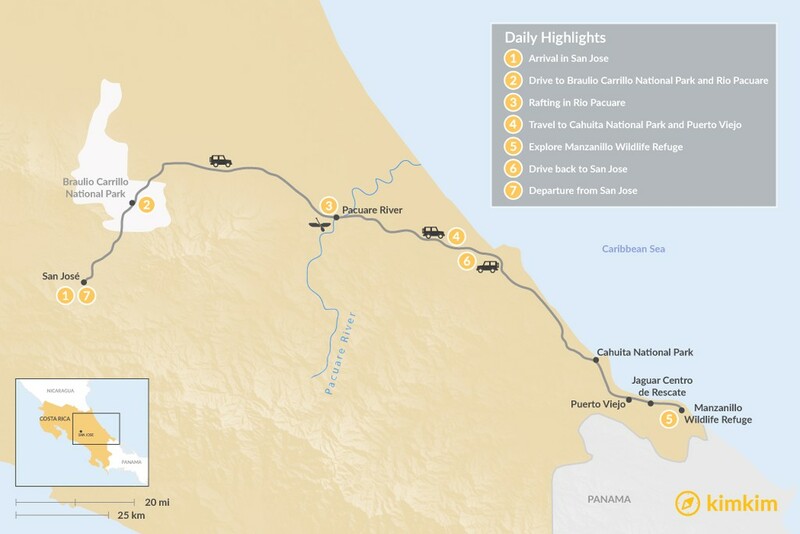 This self-drive loop starts (and ends) in San José before heading east towards the coast by way of Braulio Carrillo National Park and Rio Pacuare, eventually landing at the Caribbean Sea. Compared to the Pacific coast, which many other itineraries focus on, the lesser-visited Caribbean coast offers more cultural diversity. It’s where Afro-Caribbean flavors and indigenous cultures feature a less mainstream side of the country. No trip to Costa Rica is complete without some wildlife viewing, which also happens to make for two relaxing beach days at Cahuita National Park and Manzanillo National Wildlife Refuge, where you can also swim, hike, and kayak. 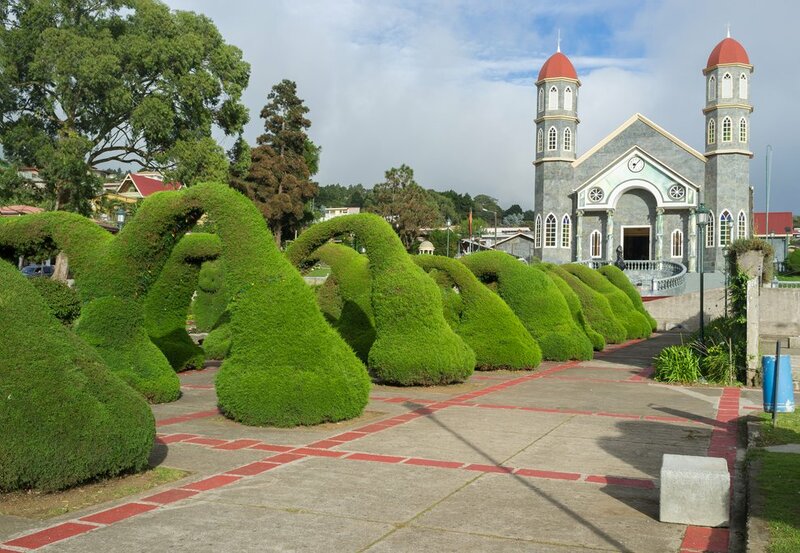 Zarcero Gardens and Church in Costa Rica's capital. Welcome to Costa Rica! After you've picked up your rental car, get settled in your hotel in San José and pack a layer — this is a mountainous microclimate and temperatures tend to be cooler here than the coast. If your flight arrives earlier in the day, take the afternoon to explore the city by foot. 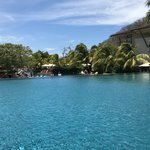 The capital city of Costa Rica features bustling streets, green parks, grand plazas and European-inspired architecture showcasing centuries of history. If you are interested in architecture, you can visit the Teatro Nacional (National Theater), which many deem the most exquisite building in the entire city. Also, check out the National Museum, a former military barrack painted in a dazzling golden color. A great afternoon activity is the subterranean museum Museo del Oro Precolumbino (Pre-Columbian Gold Museum), which holds the largest Pre-Columbian gold collection in all of Latin America, all of which is stored underground for protection. Another great activity is the Jade Museum, dedicated to preserving the archaeological heritage of the region. The museum features the largest collection of pre-Columbian jade artifacts in the world with over 7,000 items on display. Most of these are dated between 500 BC and 300 BC. Wildlife in Braulio Carrillo National Park. After breakfast, drive your rental car towards Braulio Carrillo National Park. From San José, take Calle 3 out of town to where it becomes the Guápiles Highway 32 headed northeast. The main ranger station is Zurquí, on the right just north of the tunnel and you can get maps and information about the park. Far less touristy than Arenal, Braulio Carrillo is Costa Rica’s largest national park at more than 100,000 acres of rolling hills and dark-green vegetation, though much of this land is inaccessible and preserved for protection. Uncrowded hiking trails — both short and long, ranging from easy to difficult — are certainly a highlight. One of the unique walking opportunities in Braulio Carrillo is the chance to see different species of flora and fauna at different elevations. 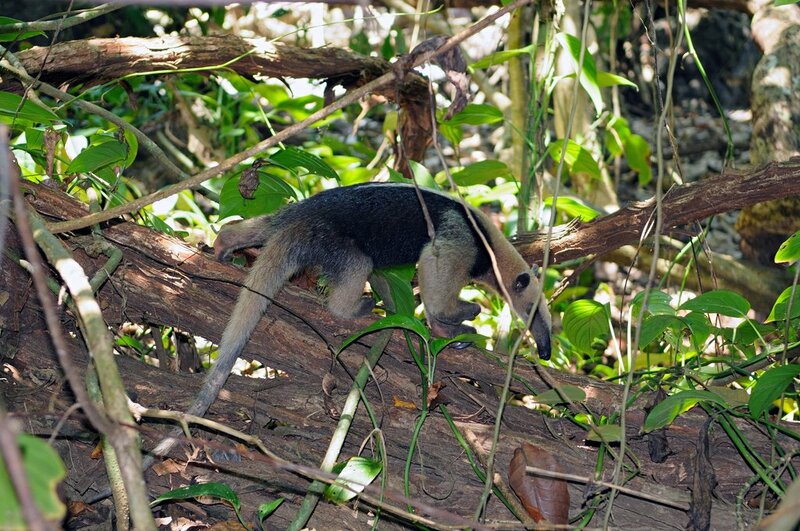 The rainforest feels very wild, with exotic birds and more than 150 mammals such as white-faced monkeys, jaguars, deer, tapir, raccoons, armadillos, and anteaters. Consider taking the rainforest aerial tram, located on the eastern flank of the park. This is an open gondola that takes you on a tour of the rainforest canopy; it can fit up to four passengers and a guide. If you have time, there is a canopy zip-line operator just outside the park called Rainforest Adventures Costa Rica Atlantic. 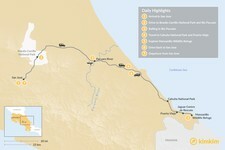 After the park, continue driving east on 32 towards Rio Pacuare where you’ll stay for the next two nights. South on Highway 10, there is a slew of great lodges and sanctuaries near Bajo Tigre that cater to river rafters. Check into your hotel and relax by the pool. Rapids for every level in Rio Pacuare. 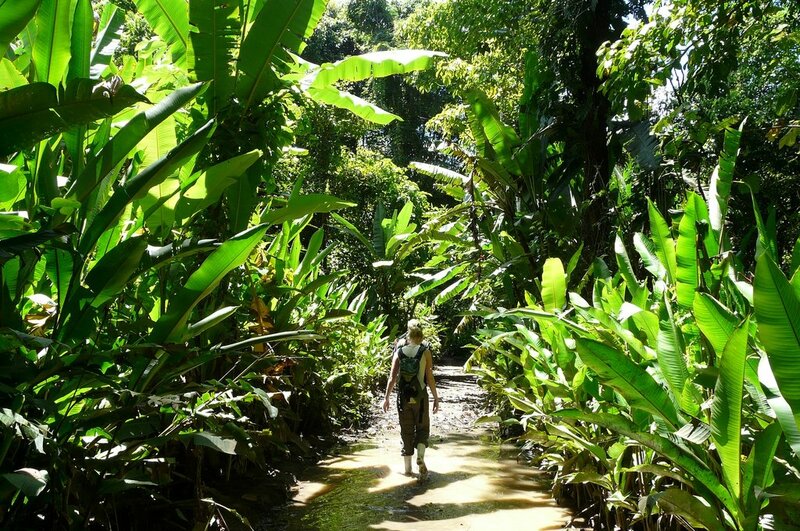 Today, you can take a guided rafting trip along the Rio Pacuare, arranged through your lodge. Located along Costa Rica’s Caribbean slope, Rio Pacuare’s river gorge is considered one of the best rafting rivers in the world with warm water and stunning green scenery. Pacuare is divided into 16 sections with beginning, intermediate, and advanced whitewater depending on your level of expertise. 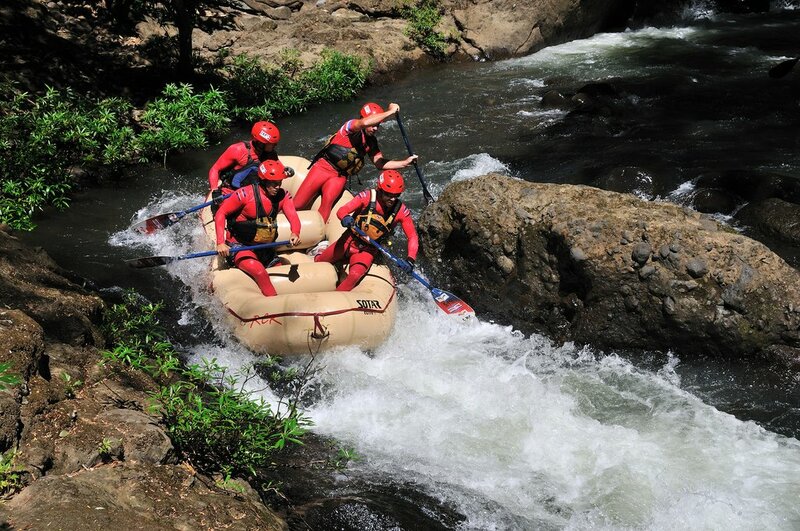 This is a great way to experience Costa Rica’s natural beauty as you paddle down roaring rivers while twisting, turning, getting soaked, and surrounding yourself with rare species of flora and fauna. Puerto Viejo's laid-back town is a great base while staying on the Caribbean side. 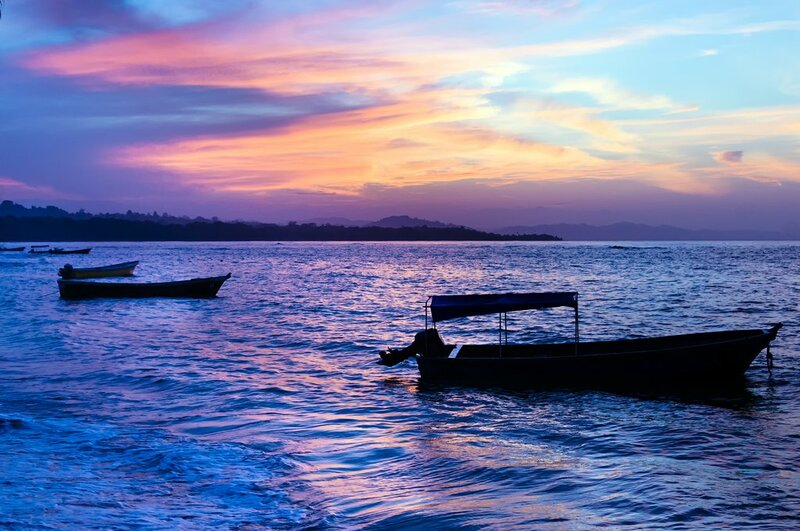 After breakfast, you’ll drive two hours to Puerto Viejo, located on the southern Caribbean coast. This surfer town has an excellent range of guesthouses for all budgets, along with residents of Afro-Caribbean and indigenous descent, giving it a different vibe from other beach towns in Costa Rica. You will see colorful buildings, hear reggae beats, and experience a friendly, laid-back attitude. 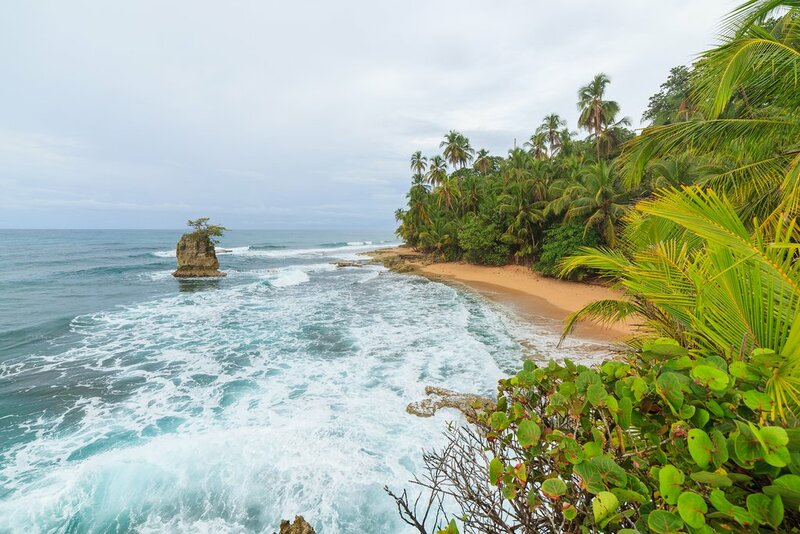 When you check in, take a short drive south to Cahuita National Park for light jungle hiking and swimming on the pristine beaches. Here, you'll be able to see several species of exotic birds, sloths, white-faced and howler monkeys, anteaters, armadillos, blue morpho butterflies, tropical plants, and trees, not to mention the park's coral reef for marine life. You can also hire a professional guide who can point out flora and fauna in the park. Return to your hotel and enjoy the evening in Puerto Viejo, with a dining scene that reflects its widely-varied international population. Hiking trails along the beach. After breakfast, drive to the Jaguar Centro de Rescate, an animal rescue center rehabilitating orphaned and injured animals for release back into the wild. You may even be treated to a one-on-one encounter with a monkey or a baby sloth! Continuing driving south down the coast, and take lunch at a local eatery before driving to Manzanillo, where the road ends. Explore the sandy beach trail, rent a kayak, or simply chill out on the beach before heading back to Puerto Viejo for a Caribbean dinner. One of the pristine beaches. 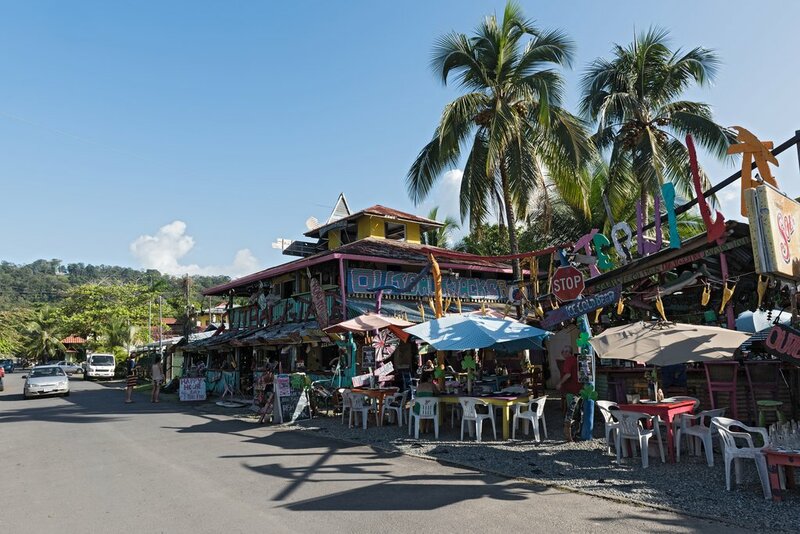 Spend the morning wandering through the funky shops and colorful streets of Puerto Viejo. If the surf's up, have your kids watch the surfers at Salsa Brava, the Caribbean's most infamous surf break. Or, get in the car and head for nearby beaches that are safer for swimming and snorkeling. By early afternoon, start your drive back to San José — a journey of 4.5 hours. Check into your hotel for your last night. If you didn't have an opportunity to visit any of the local attractions, now is your chance. Alternatively, if you didn't have time to zip-line at Braulio Carrillo National Park at the beginning of the trip, now would be a great time. Sunset along the Caribbean coast. It's time to say goodbye to Costa Rica — hopefully you can return soon! If you have a few hours before your flight, a great way to spend your morning is visiting the Mercado Central (Central Market), which opens at dawn and is one of San Jose's oldest and most iconic places. Experience the hustle and bustle of daily life for locals of all walks of life, and keep an eye out for last-minute souvenirs.